With Intel dropping support for RDRAM and adopting dual channel DDR for the Pentium 4, it's obvious that RDRAM will be soon be taking a less important role in the P4 mainboard markets. Still, Rambus is not going to go down without a fight, and today we're examining the DFI NT72-SA. 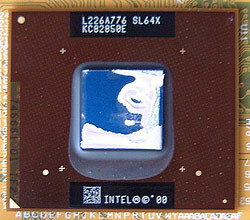 The DFI NT72-SA is based on the i850E chipset, which is Intel's last to support RDRAM. 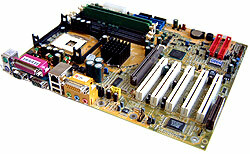 The NT72-SA was originally released by DFI in May of 2002 and with the recent release of Granite Bay based motherboards now, it sits under the spotlight once again. 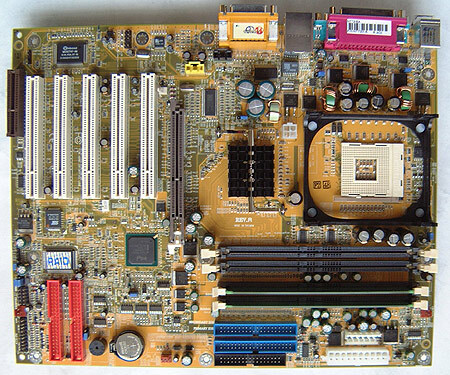 The goal then, as it is now, was to produce a cost effective high performance desktop motherboard so there aren't many overclocking options to fiddle with. The i850E RDRAM chipset supports upto 2GB of 16 bit PC800/1066 RDRAM memory, and comes with two CRIMM modules as RDRAM must be installed in identical pairs, and unused slots cannot be left vacant. The i850E chipset has native support for Intel Hyper-Threading enabled processors like the 3.06GHz, and obviously supports the socker 478 formfactor for P4 processors of both the 400MHz FSB and 533MHz flavors. Even though DFI is aiming the NT72-SA motherboard to mainstream users and OEM's, they did include FSB adjustments in their BIOS. Granted without CPU Voltage adjustments you're not going to get very high, but we tried our hand at overclocking anyway. The test P4 2.8 GHz is not very overclocker friendly so we didn't have very high hopes. In the end we hit our maximum the wall at 140 MHz FSB. Anything higher and the system would not POST. We tried turning down the RDRAM to 3x, but that didn't help at all.